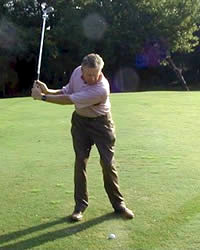 Noted golf instructor and columnist Mel Sole offers golf tips for GolfInstruction.com readers on all aspects of the game. 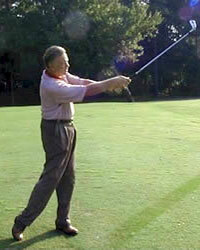 I was recently working with a golf student who was having a hard time shifting his weight through to his front side. 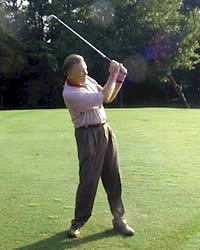 Most of his shots were off the back foot as seen in the photo below. 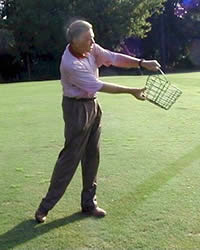 ... and through to the target without having the water splash back on him. He performed the move perfectly. As you can see the water would not have gone forward! 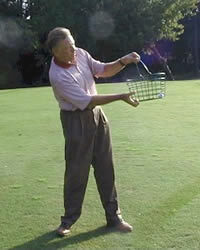 Next, I asked him to take his club and perform the same move as with the bucket. The improvement was instantaneous, and he now has a good weight shift. 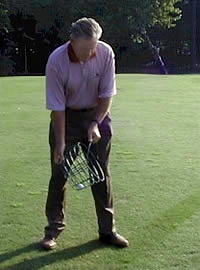 So, if you are having trouble shifting your weight (and most high handicap golfers do), use the image of the water bucket to get the correct feel! 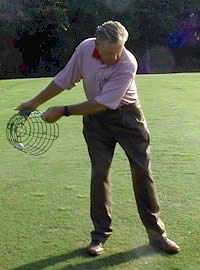 I liked the images of the water bucket to improve your golf swing.